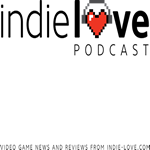 In this episode, we discuss recent game releases such as Woolfe: The Red Hood Diaries, as well as releases that we’ve loved forever, and the allure of hyper difficult games such as Dark Souls. We also look at games based off native traditions, such as Never Alone and Kawiteros! On top of that, I rant about the futility of point and click games and the player quality in Heroes of the Storm.